A testament to the breadth and variety of stand design and a must-have reference tool for interior designers, architects and branding experts. 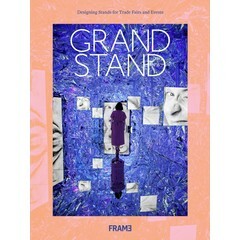 The sixth edition of one of Frame’s most successful series, Grand Stand, sees a fresh editorial approach that guides readers through a dynamic and inspirational exploration of 111 projects. 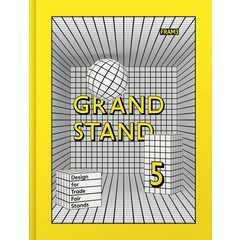 Grand Stand 6 is divided into five chapters, each of which tackles a different trend in the design of stands and temporary spaces. Interviews with the likes of Ben van Berkel, principal of UNStudio, and D’art Design Gruppe’s managing director Guido Mamczur add context to each chapter. Inside, discover stands that put the visitor experience centre stage as well as new renditions of the tried-and-tested formula. See how designers build strong narratives for brands, products and concepts; use grand architectural gestures to make bold statements; and push products to their limits to demonstrate their full potential. 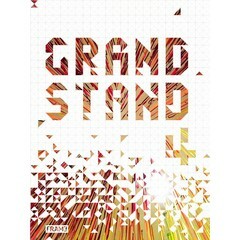 A testament to the breadth and variety of the field, Grand Stand 6 makes one thing clear: as digital technologies become increasingly important in temporary spaces, nothing can replace an immersive physical experience. 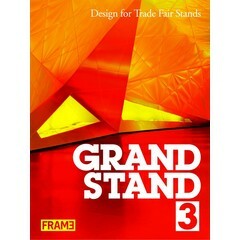 This 400-page reference book is the successor of one of Frame’s most successful series, Grand Stand. It is filled with a total of 111 low-budget and high-end stands presented at trade fairs, exhibitions and other international events all over the world. The book is divided into five chapters that tackle different trends in the industry, from user-centric spaces to stands built from the very products being exhibited. Each chapter is contextualised through an introductory interview with a representative of one of the featured studios. Featured projects are accompanied by descriptive text and stunning photography.